Rebounding for Better Lymphatic Health by Dr. Patricia L. Lawler is licensed under a Creative Commons Attribution-NonCommercial-ShareAlike 4.0 International License. Based on a work at http://www.hollyhouse.org/lymphasizing/. Permissions beyond the scope of this license may be available at http://www.hollyhouse.org/contact/. You probably already know how important exercise is to your health. One of the most important ways that it helps you is how it improves your lymphatic circulation. Unlike your cardiovascular system, your lymph system has no circulatory pump of its own. It relies upon exercise and physical movement to propel lymph fluids throughout your body. The importance of the lymph system to your health can not be overstated, yet many of us remain unfamiliar with it. Your lymph system is YOUR IMMUNE SYSTEM’S FIRST LINE OF DEFENSE. It helps keep you from catching infections and developing chronic illness. A healthy lymph system allows nutrients into your cells and removes toxic build-up between your cells. When the lymph system moves properly, electrically charged ions, such as calcium, potassium and sodium move freely through your cell walls. When the lymph system stalls, your ability to nourish and detoxify your cells is impaired. Lymph function is absolutely necessary for your health. Without it you will die. Most exercise will improve lymph circulation but all exercise is not equal in its effects. Research performed by such scientists as Dr. Joan Vernikos, of NASA has proven that exercise that involves opposing gravity, such as when you jump upwards, does the most for your lymphatic system. It’s best at encouraging the exchange of those electrically charged ions, and therefore, positively affecting your ability to nourish and detoxify your cells. So what is the best exercise for opposing gravity? A number of years ago a good friend of mine told me about mini trampolines and how they could help you with your health. Now, knowing what I do, I wished I had paid attention to her! Years passed but in the late summer of 2014 another one of my patients brought me an article on rebounding. It revealed that rebounders are also called lymphasizers and it spoke of their powerful effect on the lymph system. The opportunity for my patients and my personal and family’s health became evident. Finally, I paid attention. My husband and I decided to purchase a mini tramp and begin rebounding. Soon, I experienced how powerful these tramps can be. At the clinic, we do an evaluation called a BIA, or Bio Impedance Analysis. This medical evaluation assesses the strength of your cells and your vitality. Despite a good diet and exercise, I was always disappointed that my personal assessment was never as healthy as I thought it should be. After only one month of using the rebounder twice weekly for only 15 minutes each time, my results on the BIA profoundly shifted for the better. I was shocked at how rapidly my cells improved. And that wasn’t all. One day, while doing floor exercises, I had completed my usual 30 sit ups. It occurred to me that my abdominal muscles did not feel very tired so I proceeded to do 30 more. I was absolutely astounded! I had never done 60 sit-ups in my life! Evidently, the mini tramp had helped me to become a lot stronger. Personal results consistent with the research have convinced me that a quality mini trampoline offers one of the best ways to oppose gravity and vastly improve health with exercise. If we believe Joan Vernikos and choose gravity opposing exercise, we might first turn to exercise that involves jumping – such as jumping rope, aerobics, basketball or even running. But the problem with these activities is that they can be hard on your joints and cause injury over time. That’s why I like rebounding on a mini tramp. As long as you use a well-designed quality mini trampoline, you will still be jumping but you will protect your joints as well. You do not need to become a trampoline artist to get the benefits of opposing-gravity on the mini tramp. It is true that a higher jump will build strength and integrity throughout your body, but there is also a simple, safe, and gentle movement called the “Health Bounce” that can be done by almost anyone. If you wonder about your balance and your ability to use a mini tramp safely, balance bars are available but I rarely recommend them. I encourage you just to get the tramp and work on your balance as I did. Try extending your arms out. It really helps with balance. Mini tramps are ideal if you are a beginning exerciser and wonderful for you if you have been de-conditioned by illness. There are even reports of parents treating sick infants by bouncing their infant gently on the mini tramp. After all, every parent knows that the gentle bounce is every baby’s favorite movement. Mini tramps aren’t just for the beginner either. Competitive athletes may want to utilize the mini tramp to build strength and vitality – remember my own experience with the increased BIA and sit ups. Enhanced lymph function and a strengthened immune system are essential for any sport. Whether you’re a downhill skier who needs to strengthen your knees for the moguls or a baby boomer just getting back to exercise, I recommend rebounding on a mini tramp. It is one of the safest, easiest, most enjoyable, most cost effective, and most beneficial exercises you can do. 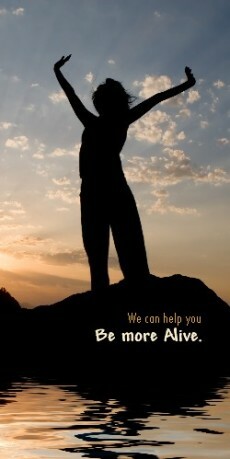 Join me and rebound to accelerate your health potential this year. Once you refer to the video or transcript above for important health related reasons for why you might want to take up rebounding, you might realize next that you need a mini tramp. If you don’t own one already, I invite you to read on for a special offer and some tips on what to look for. Prior to recommending rebounders to my patients, I was in the market to purchase one for my husband’s and my personal use. As it turns out, there are quite a few options out there so I had to do my research on quality, warranties, and prices of various brands and models. As a doctor, my primary interest is to maximize the positive health effects of rebounding. With this in mind, I discovered that generally, you want to avoid cheap or obviously used or abused rebounders because they could damage your joints. I also discovered that the “bounce” built into some brands was better than others at stimulating the lymph system. I eventually identified three brands that seemed to me to be of high quality; the ReboundAIR, the Cellusizer and the Bellicon. I feel that any of these would be an excellent choice. Ultimately, I settled on the ReboundAIR. ReboundAIR did the first research and invented the concept of the mini tramp back in the 70’s. Founded by a gymnastics champion and Olympic qualifier named Al Carter, it still remains the standard. I felt that as an athlete himself who put his own kids on the machine, Al would be picky about its performance. The ReboundAIR comes with a lifelong guarantee. I like that. It was also the most affordable on my short list of best models. I like that too. After using my ReboundAIR and recommending it to a few patients, I’d like you to know that we decided to become an affiliate. This doesn’t cost you anything but if you decide to purchase one from ReboundAIR directly, you will also be helping HOLLY HOUSE. When you do, as an added incentive, we will also send you a video of Dr. Pat demonstrating her “Top 10 Beginning Rebounder Tips”. You can learn more about rebounding, rebounders, and the ReboundAIR mini tramp in particular at REBOUND-AIR.com. They have tons of information on their website. Whether you choose the ReboundAIR or a different brand, I hope you consider adding rebounding to your life. I encourage you to bookmark and return to this post when you get your rebounder to watch my “10 Tips for Beginning Rebounders” and to share your feedback. I like your video very much. I wonder if I can get the same rebounder (reboundair $300.00)? I live in Markham, Ontario, Canada. I am not sure if they can send it to Canada. Glad you liked the video Lana. I encourage you to contact Rebound-Air. They have several different models with different prices but I believe $300 should serve you well. Don’t see why they wouldn’t ship to Canada. Let us know if you have any problems. I have a small inguinal hernia which does not normally cause me any pain. Is this going to be a problem with rebounding exercises? It would be difficult to predict whether rebounding would aggravate your hernia without more information. It would be best for you and your clinician/physician to assess your potential tolerance of rebounding. That said, you most likely could tolerate the simple lymphasizing movement where both feet are kept on the mat.Start out with a short 10 minute session, alternating weight between the right and left legs. Then, see how you feel for the next several days. You may gradually build up if you have no increased symptoms from your hernia. I would like to know more about the rebound chair? We are sorry that we do not have specific information about the rebound chair and its benefits. Our opinions here are in regard to the mini trampolines only. Hi,! I will like to buy some sessions or videos from beginner to advance. Do you sale videos ? Thanks for your interest Celsa! No, unfortunately we’re not selling instructional rebounding videos at this time. ReboundAir has some available here though: https://rebound-air.com/rebounder-media-gallery/. They also used to sell DVDs. YouTube has lots and I’m sure you’d be able to find some more formal options with a little internet browsing. Good luck! I just started and i noticed some swelling in my face . I noticed alittle swelling in my body especially around my face. I’m 57 yrs old and weigh 200 lbs. I’m very active because I am a housekeeper and I work 6 to 8 hours a day. So I’m not sedimentary I just do not understand the swelling. Thank you and I will await the comment. Hi Dianna. I am sorry that we cannot diagnose your condition without a proper examination. It would be very difficult to assess what is occurring for you without the information the examination would provide. To schedule an exam with us call the office at 651-645-6951 and speak with Adam.If you are unable to schedule with our office I do recommend that you do see someone to help assess the issue. I purchased my Rebounder years ago and have had it in my basement when doing laundry I take a few minutes to do my health bounce. If you want to get your system moving this is great for elimination process as well – just ask my grandson who jumps and minutes later is excusing himself and heading to the bathroom. Such an easy way to get on of our biggest systems moving. Thanks Dr. Pat for this wonderful reminder. Absolutely! I have experienced the same response.Thanks, Elizabeth! Thanks again for sharing your excitement about rebounding. We bought a Bellicon rebounder about 2-3 years ago but didn’t even realize what great measurable health benefits can come from it. My husband even stopped rebounding to come watch your video, Dr. Pat. My goal is definitely to use the rebound more and more to gain even better health. You’re welcome! We will all be rebounding our way to better health!